How to backpack in New Zealand when you’re 30+. Great news, you are one of thousands of over 30-year-olds looking to backpack in New Zealand. New Zealand is often a destination more “grown-up” people look at because seeing awesome landscapes, experiencing the great outdoors and experiencing a different culture is just a more “mature” way to travel. New Zealand doesn’t usually appeal so much to people who just want to party 24/7 (we have Australia for that). So when you ask around in any hostel, a good percentage of people are between 25-35 years old. Nevertheless, the way you would have backpacked when you were 20-years-old is likely to be a little different to how you would backpack now. For that reason, we have put this guide to backpacking in your 30s in New Zealand together. When you’re backpacking in New Zealand, age is most definitely a number and the younger backpackers are likely to assume you’re “25 or something”. Don’t let your age stop you from having the trip of a lifetime! To spend an extended amount of time in New Zealand, most backpackers get a working holiday visa. However, you can usually only apply for a working holiday visa if you are between 18-30 years old. Nevertheless, people from most countries can spend about three months on a visitor visa depending on which country they are from. That’s still enough time to make the most of a backpacking experience in New Zealand. How to Get a Working Holiday Visa When You’re 30-35 years old. Most of the Working Holiday Schemes for New Zealand can only be applied for if you are between 18-30 years old. If you are from one of these countries, the great news is that if you can still apply for the working holiday visa when you are 30 years old. Plus, you have a year to enter the country since the date you are granted the visa. (Then you can usually stay for a year after you have entered the country – but check your visa conditions). This means that you could be 31 by the time you enter New Zealand, so if you are 30 years old and are toying with the idea of doing a working holiday in New Zealand, don’t delay – even if you are not sure you’re coming. Apply for the working holiday visa before you turn 31. To find out how to apply, see our How to Get a Working Holiday Visa? Some Working Holiday Schemes for New Zealand allow people to apply if they are between 18-35 years old. It’s the same application process, and you can apply while you are 35, even if you will have turned 36 by the time you travel to New Zealand. These lucky countries are: Argentina, Canada, Chile, Czech, Finland, Hungary, Slovakia and Uruguay. The visitor visa for New Zealand allows travellers to stay in New Zealand for three months without working (even WWOOFing). If you are from a visa-waiver country, there are no applications to fill out, you just get the visa stamped into your passport on arrival. For other countries, there is a visa application process to go through. To see if your country is a visa-waiver country and what the conditions of a visitor visa are for New Zealand, check out Visitor Visa: Do You Need a Visa to Visit New Zealand? There are many great budget accommodation options for travelling in your 30s. On the other hand, you may want some added comforts compared to if you are travelling in your early 20s. 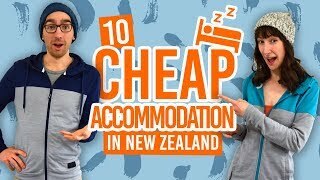 As we discussed above, backpackers over 30 years old is not uncommon in New Zealand, therefore hostels are still widely used by backpackers over 30. However, you may want to swap the 8-bed dorm for a 4-bed, if you really value a good night’s sleep, or even look into getting your own private space. Check out Staying in a Private Room: Hostel, Motel or Hotel? to see where you can get the best deals for a private room. If hostels just aren’t your thing, then there are plenty of other budget accommodations out there, from holiday parks, camping, Airbnb, campervans and WWOOFing. For a complete list and more information, see 10 Damn Good Alternatives to Hostels. The great thing about travelling in your 30s is that you can usually afford more than what you would have been able to in your 20s. This might mean renting a car or campervan, doing multiple activities from white water rafting to wine tasting to skydiving or scuba diving. Where you need to save the cents, you have your budget accommodation and plenty of free activities to do in New Zealand such as hikes. Age is not really factor when deciding what activities to do in New Zealand, as activities tend to attract people of all ages (with the exception of bar crawls and guided hikes perhaps). Your interests and budget is more what will determine what activities you do. For an idea of expenses, take a look at What is the Cost of Backpacking in New Zealand? In terms of transport, a lot of travellers in their 30s are more independent than younger ones, so hiring a car or a campervan is a great way to get around and be in charge of your own itinerary. Get started with our Guide to Renting a Car/Campervan in New Zealand. An alternative for getting around New Zealand on a budget is travelling by coach. This still allows you to be relatively flexible with your itinerary – it’s just a matter of getting your bus on time and sticking to the locations along a set route. Check out the passes in What’s the Difference Between InterCity Backpacker Bus Passes? 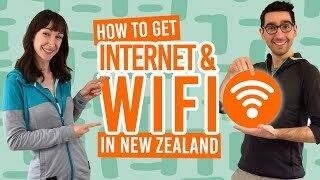 Finally, if you are new to solo travel and would appreciate some guidance, then the hop-on hop-off buses and tour buses are a great alternative to getting around New Zealand while making activity bookings easy. If your idea of hell is being stuck on a bus with a bunch of rowdy 18-year-olds, then Stray, the hop-on hop-off bus company tends to draw an older or more mature crowd than its competitor, Kiwi Experience, so you may want to look into that. More information can be found at What is the Difference Between Stray and Kiwi Experience. As for tour buses, companies like G-Adventures and Haka Tours often have many passengers in their late 20s and 30s, giving you more chance to spend time with like-minded people. By the time most of us are in our 30s, we have done a few different jobs, perhaps climbed the career ladder and got a few qualifications under our belts. Backpacking in New Zealand doesn’t mean this will all go to waste. In fact, you have the luxury of having more jobs open to you than you would as a less-experienced 20-year old. If you’re trade is something you can be doing online, then continue this while you’re travelling, or perhaps use the time to make yourself an online portfolio while you’re travelling to show potential employers after your travels. Plus, you never know who you will meet along the way to help you advance your career or start a new one. Travelling and broadening your social circles is a great way to network and find new opportunities. What’s more, a backpacking trip just adds to your CV or resume, which we go into more detail about in How to Use a Gap Year as Valuable Experience on Your CV / Resume. One reason you may be doing a working holiday in the first place is to try something new, so check out some of the 10 Working Holiday Visa Jobs in New Zealand and 15 Excellent Backpacker Jobs for inspiration. Remember, trying something new means keeping an open mind, which is hugely important when looking for a job in New Zealand and here’s why. A final thing on work, remember that you can only work in New Zealand is you have a work visa. It is illegal to work on a visitor visa even if it is in exchange for something else other than a wage. We have more information in What Visa Do You Need to WWOOF in New Zealand.